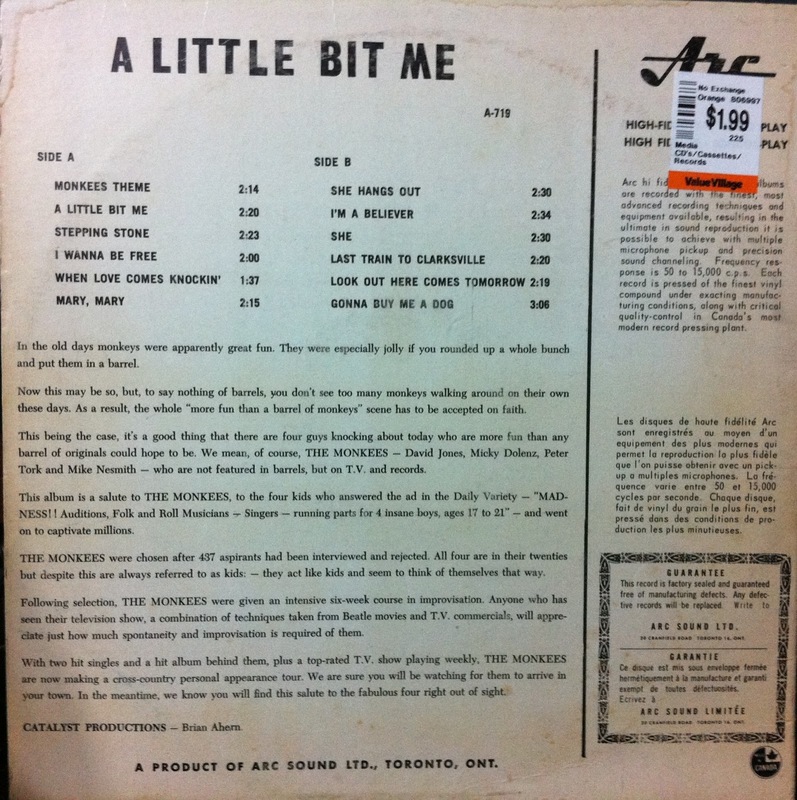 Maritime Vinyl: "A Little Bit Me" - ARC Records and "Monkee-ing" about with cover versions. 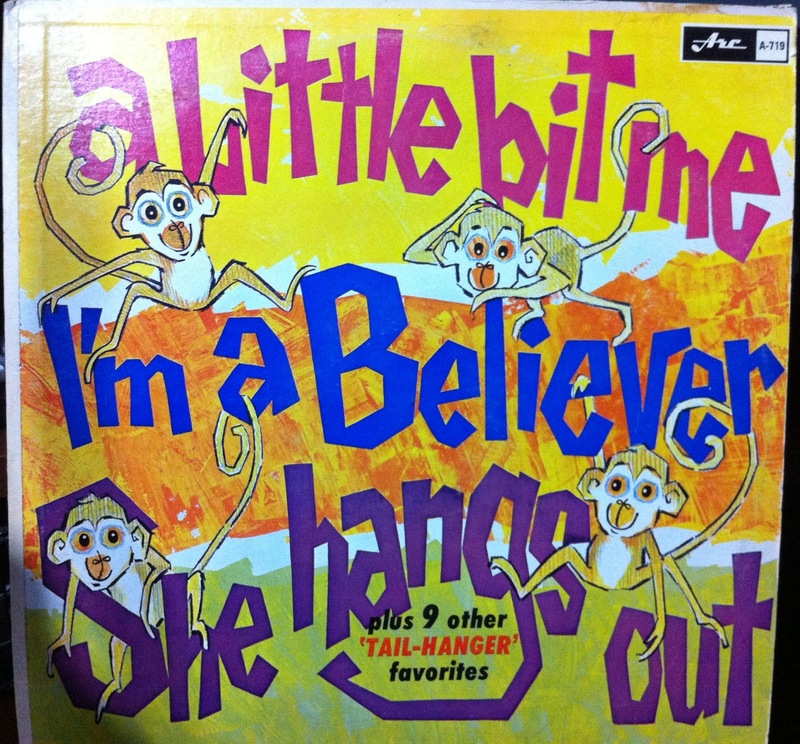 "A Little Bit Me" - ARC Records and "Monkee-ing" about with cover versions. In the 60's and 70's, there were a few independent record labels that would re-record the hits of the day using unknown & little-known session vocalists and musicians, "in the style of" as some records proclaimed. In Canada, ARC Records (A division of ARC Sound Co. Ltd.) was one of the leaders of this kind of music marketing. ARC released a lot of pop, fiddle and folk/Newfoundland music as well as a lot of country. The company had some major national success with Toronto rock/R&B band "Ritchie Knight and The Mid-Knighters". 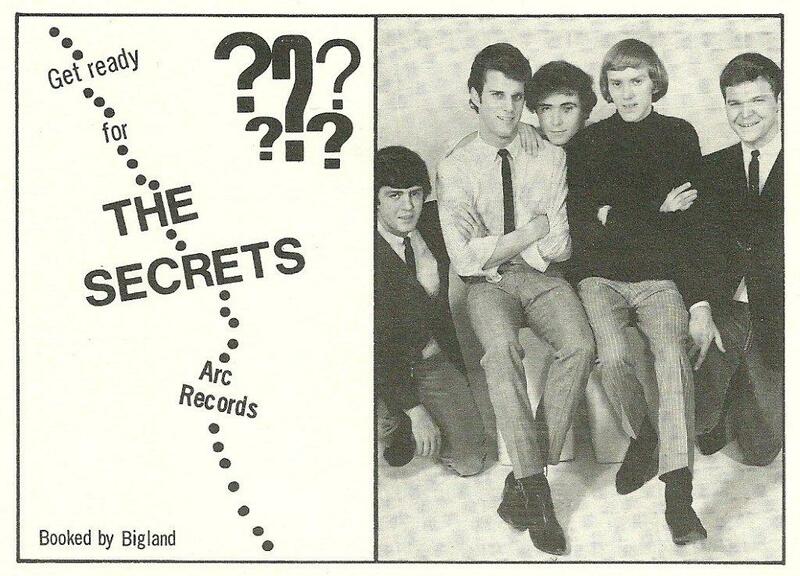 ARC also specialized in knock off albums, often getting little known, regional artists to cut "tribute" albums,(ie: "Johnny Cash Song Hits Sung By Bobby Rowan" or "Floyd Lloyd Sings Songs Made Famous By Ernest Tubb") They also released many "hit parade" cover version LP's performed by "anonymous" artists (such as "The Golden Ring" or "The Merseybeats", or sometimes blatantly uncredited.) These LP's were commonly found in department stores & drug stores & usually they were priced lower than "regular" LP releases. (Sometimes you'll still see the "$1.99" price tag on these records at thrift shops.) ARC also licensed "sound-alike" tracks from other labels such as England's notorious "Embassy" label. And until the late 60's, these cheaply produced cover version records were almost exclusively released only in mono. 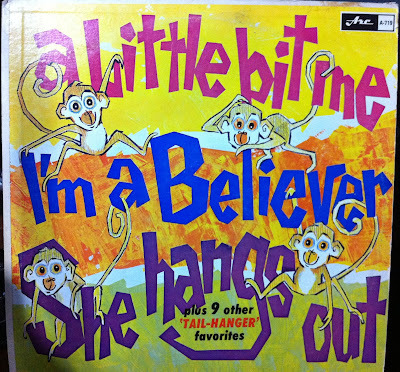 I'm not a huge fan of "knock off" albums, having heard some horrible ones, but a friend of mine (and fellow music nut) turned me on to this LP entitled "A Little Bit Me, I'm A Believer, She Hangs Out plus 9 other 'tail hanger' favorites" (known in this post as "A Little Bit Me".) Obviously this is a Monkees knock off album. And my friend used to listen to this as a kid, and thought it was the real Monkees. Only as he got older he realized that this LP did not feature the Monkees at all, but were re-recordings. And when he heard the original Monkees recordings, he was very disappointed. He felt that the cover versions on this ARC album rocked harder than the original Monkees versions. So I decided to spin the record for myself. My friend was right. To my surprise, the band used on this album were definitely playing the numbers a little harder than the original Monkees versions, with quite a bit of Farfisa organ in the mix. The same vocalist was used througout the whole album, however, which was OK. Instrumentally, I was very impressed with the performances. The lead guitar solo on "Monkees Theme" really rips. "Stepping Stone" starts off with a dirty fuzz guitar. I LIKE!!! I was very impressed by this no-name group of musicians. The renditions were very faithful to the originals, but as mentioned, there is an edge to the performances on this record. The band was very well rehearsed as the band is very tight. The only real disappointment came with "Gonna Buy Me A Dog." The cover vocalist tries hard to replicate the "ad lib" nature of the original Micky Dolenz vocal, but falls kind of short. His performance sounds forced. I recently stumbled upon this record in a pile at a thrift store and snapped it up. Now I had my own copy. My friend's copy had nasty groove damage during "Last Train To Clarksville" that affected the sound. The copy I purchased, while not pristine, plays through with no skips. I was thrilled. So listening to this record again, I decided to write a blog post about it and maybe try to find some more info on it. The LP liner notes didn't feature any info, just a brief bio about The Monkees and how they had been put together. There were no songwriting or publishing credits listed as well. Could this have slipped out without any songwriting royalties being paid to the publishers?? At the bottom of the sleeve I noticed "Catalyst Productions - Brian Ahern." I recognized Ahearn's name from the sleeve of Emmylou Harris records when I was a kid. I knew Brian Ahern was a very noted producer, working with Emmylou Harris (eventually marrying her), Anne Murray, Linda Ronstadt among many other country & pop artists. 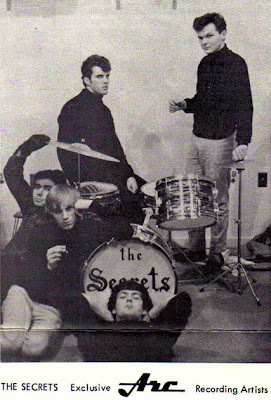 In the 60's, Ahern had his own band called “Brian Ahern and The Offbeats" and they were a critical and popular success on CBC TV's "Frank's Bandstand" , which was Halifax, Nova Scotia's contribution to the national series "Music Hop" (Winnipeg's contribution, "Let's Go" featured none other than The Guess Who as the house band.) The Offbeats also did sessions for some ARC "hit parade" type of knock off LP's. Ahern was also musical director of the Halifax based CBC-TV show "Singalong Jubelee" which included a young Anne Murray as a cast member. The Singalong Jubilee chorus recorded a few LP's for ARC as well. 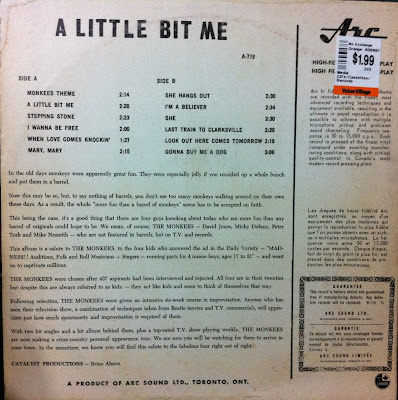 Getting back to the "A Little Bit Me" LP, excactly how Ahern and ARC joined forces isn't known (at least I couldn't find much info online) but I assume he became a staff producer for the label, judging by his contributions to the Singalong Jubilee LP's and Anne Murray's debut disc. I'm assuming that Ahearn's production company was "Catalyst Productions" and was the "producer" for this LP. ARC was a very busy company in the 60's and I have a feeling that they had their own studio. I know that they had their own pressing plant (Precision Pressing Co.) (info courtesy of Wikipedia.) I assume that because ARC was based in Toronto, this album was recorded there as well. I know nothing about the sessions for this record but the actual LP is in mono . I'm going out on a limb and assuming that because this was a "teen" title and a budget LP, ARC didn't see any sense in putting it out in stereo. Notwithstanding,the sound quality is quite good, with a decent balance between the vocals and instruments. The production is really strong. Like I had mentioned, these cover versions really DO rock harder than the Monkees' originals. This record was released in 1967 on as ARC Records A-719 (no other identifying info on the run out matrix) and in mono only. No other information is known about this record. But as mysterious this release is, it sure is a rocking little piece of vinyl. If you find it at a second hand or thrift shop, get it. Judging from this quality release, I may try my hand at other ARC "knock off" records if I see them. Thrift shops almost always have a few of these records on hand. So if I land another one, I'll review it for this blog. If anyone has any ARC label knock-off albums, I'd love to hear your comments. Hello. Great article! I really like this Arc album and was wondering who the band was. I have the 'Yellow Submarine' album and it's not as good as this. Sadly, they don't do 'It's All Too Much'. But for the Monkees album, it is quite rare. I've been trying to upgrade my copy (I just need a clean cover) for about 10 years now. I really wonder if it could exist in stereo. I had stereo and mono copies of Arc 755 (Please Feed The Animals) but I sold the stereo. Another good album is Arc 735 'Flower Power' with cool versions of 'Pictures Of Lily' and 'See Emily Play'. Anyway, thanks for the info and keep on the greaty work!